Habitat for Humanity of Mercer County is now signed up for the Kroger Community Rewards Program. Participants can begin enrolling online now. Just go to the appropriate website mentioned below and begin enrolling. HFH has been assigned a new NPO number 59084. 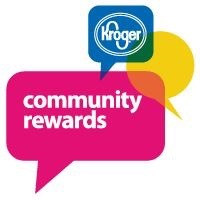 • We encourage members to register online at Kroger Community Rewards. • Be sure to have your Kroger Plus card handy and register your card with your organization after you sign up. • If a member does not yet have a Kroger Plus card, please let them know that they are available at the customer service desk at any Kroger. • Most participants are new online customers, so they must click on SIGN UP TODAY in the ‘New Customer?’ box. • Enter NPO number or name of organization, select organization from list and click on confirm. • REMEMBER, purchases will not count for your group until after your member(s) register their card(s). • Do you use your phone number at the register? Call 800-576-4377, select option 4 to get your Kroger Plus card number.